Two seasons ago the New York Knicks had a 54 win season which was their highest win total since the 1996-1997 season and they won their first playoff series since the 1999-2000 season. Since then the Knicks have completely flopped the last two seasons with things hitting the worse they’ve ever been in franchise history with the Knicks currently holding a 5-31 record where they are now on a 11 game losing streak and have lost 21 of their last 22 games. It is our belief that the biggest problem with the Knicks last season and now this season after a 54 season two years ago is a lack of leadership. 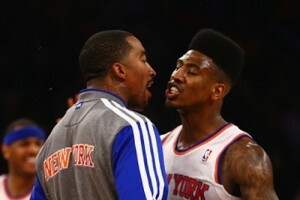 Two seasons ago the Knicks had veteran leaders Jason Kidd, Rasheed Wallace, Kurt Thomas, and Marcus Camby in the locker room who could put guys in check when things began to go awry in the locker room. With that leadership guys like Carmelo Anthony and everyone else where able to just go out and play while those guys led and provided structure. The biggest voice in that bunch was future hall of fame point guard Jason Kidd who played his final NBA season that year. 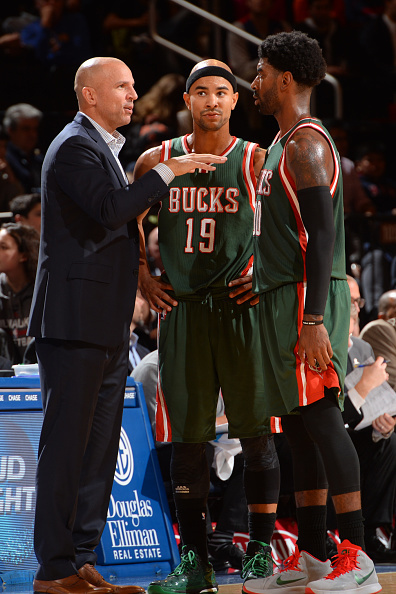 On Sunday night, Kidd who is now in his first season as Milwaukee Bucks head coach, brought his team to Madison Square Garden who after finishing with the worse record in the NBA last season without Kidd now have a record of 18-17 is good enough for 6th best in the East. We spoke with Kidd himself along with his players O.J. Mayo and Jared Dudley, and then we spoke with J.R. Smith about Kidd in the Knicks locker room. We spoke with J.R. Smith after his final game as a Knick, one night before being traded away to Cleveland. Why did the Nets let him go? And was Mayo eating something? The Nets actually didn’t let him go he left because he wanted more power within the organization. He wanted to have personnel decisions and he knew that Milwaukee would give him what he wanted because he is tight with Milwaukee’s owner dating back to his Nets days in New Jersey.